This article shows how you can start using RadPopupEditor. 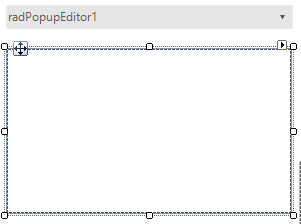 Go ahead and add RadPoupEditor and RadPoupContainer to a form. The result should look like in Figure 1. Figure 1: RadPopupEditor and RadPoupCintainer at design time. Add three text boxes, four labels and two buttons to the RadPopupContainer. Arrange the controls like in Figure 2. 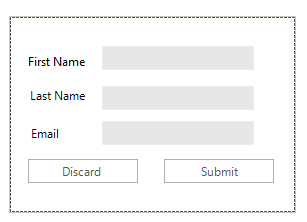 This way when Submit is pressed the name will be displayed in the control's text box. Figure 3: The final result.